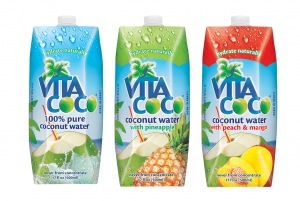 But really, I am SO excited because lately I have been winning some really cool giveaways! THANK YOU so much to all of the sponsors for these awesome prize packs! One of my favorite running gear companies, Oiselle is celebrating April as ’26 Days of Marathon’ and on April 4, they announced a twitter giveaway that involved tweeting your favorite marathon mantra for a chance to win a Race Day Kit! 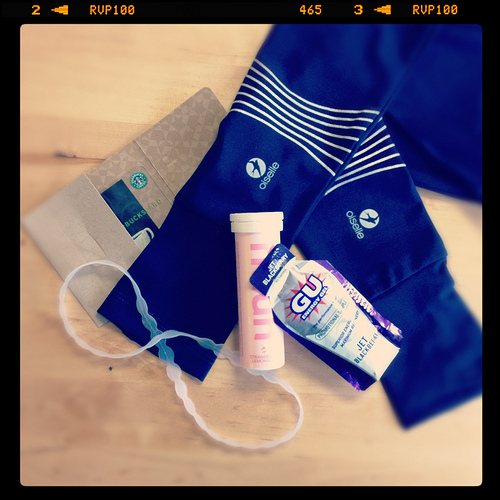 It included a $10 Starbucks Gift Card, a $50 Oiselle Gift Card, Indigo Oiselle Armwarmers, Headband, Gu and A Tube of Nuun! I was so stoked to be one of the two random winners and can’t wait to choose some new Oiselle gear – I am thinking Distance shorts will be on the list? 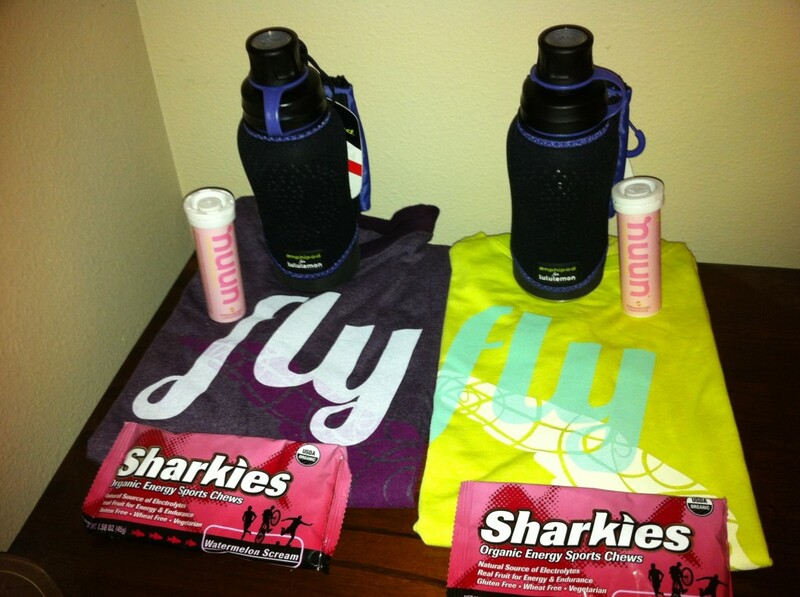 Meg at Run Fit Kin hosted a giveaway to celebrate her transition to a self-hosted blog and offered up two prize giveaway packages to include the sweet new Oiselle shirt you see pictured above (the purple or the yellow), a tube of strawberry lemonade nuun, Sharkies energy chews and YES one of the amphipod handheld water bottles that I just blogged about last week! Can you feel my excitement right now?! The coolest thing about winning giveaways, of course, is the fact that you can make so many new connections. From finding a new blog to follow, to learning about great new products and even discovering new contacts by reading the comments and tweets of others spreading the news of giveaways, it’s a fun process. Good news for y’all, though – I think I am going to take a little hiatus from entering too many more giveaways because, hey, ya gotta spread the wealth, right? Oh, wait – I did enter Melody’s Marathon Must-Haves too…so go enter that now, if you haven’t already!! What’s the coolest think you’ve ever won? Holy moly you are a winner! From Twitter I won free Bolthouse Farms shakes and my husband won a free year of outback…but I’ve never won a blog giveaway! That’s awesome! I’m the same way…running requires music I’m embarrassed to admit I listen to…and gangster rap. I love winning, and it looks like you really got some good price packs. Super cool! I won two giveaways in the last 6 months or so and it was so exciting! Also, I’m loving Oiselle as of a week ago when I bought my first items. I’m like a new running advertisement…. I am glad you got it so quickly! 😀 You’re too kind!! I’m a little jealous of you right about now! I have two pairs of the Oiselle arm warmers and they are the best-love how they include the thumb holes! AGREE! I love the armwarmers – bought a pair and wore them for the Princess Half Marathon – I am going to send these winners to my lil sister, who is training for her first race!!! I’ve never won ANYTHING! lol I need some of your luck.